Kendal Mountain Festival tour is coming to Rheged. With an evening packed full of award-winning films, first-hand accounts from captivating explorers and a chance to win a weekend get-away to the Kendal Mountain Festival in November 2018. Book your place and join us for a one-of-a-kind evening celebrating exploration of some of the wildest places on earth. Kendal Mountain festival have announced two incredible speakers for this evening, in addition to the films: Greg Boswell and Lee Craigie. Greg Boswell is one of Scotland’s most experience young climbers, and infamous for fighting a grizzly bear whilst climbing in the Canadian Rockies. Having started climbing in 2004 at the age of 13 he has since then tried to excel in most aspects of the sport. He has travelled all over the world to pursue many different routes and conditions. His passion lies in Winter climbing and pushing his limits on hard Scottish Winter routes, and it is in this area that he has become renowned. Since then he has gone on to be the first climber to onsight up to grade X/10 in the mountains and has put up some test piece routes as hard as grade XII/12. He has become well known for his punishing training regime and he belives this is what helps him to succeed around the globe on some of the world’s hardest mixed routes. Lee Craigie is an ex-professional mountain biker and long distance bike packer. 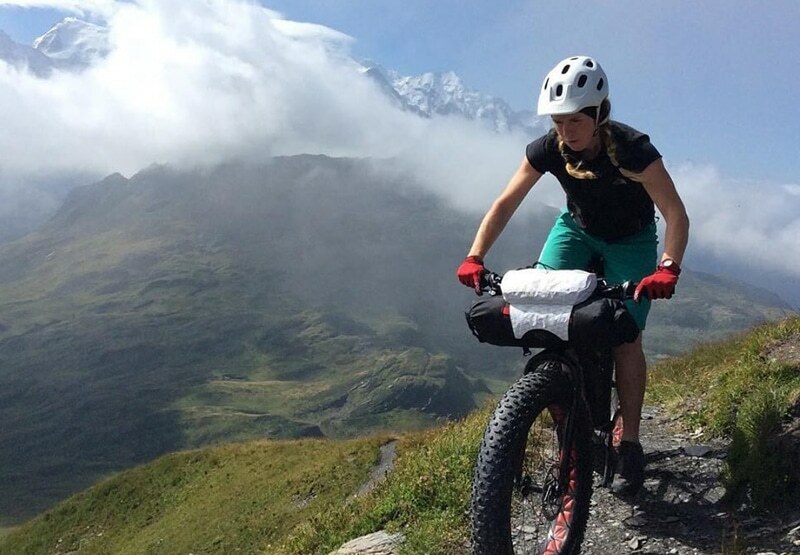 Lee Craigie became the British Mountain Bike Champion in 2013 and represented Scotland at the 2014 Commonwealth Games, but the secret to her sporting success lay in her love of exploring big mountains by bike. Lee’s tales of adventure explore more than just the terrain she passes through. Join her for an insight into the euphoria and the darkness that can be found on long distance, self-supported bike journeys. As well as hearing from Greg and Lee, there will be a selection of popular films from Kendal Mountain Festival – from flying above the Azores to freediving with Orcas, from skateboarding across Colarado to swimming in the wild ocean – you’ll be taken on a journey you’ll never forget!